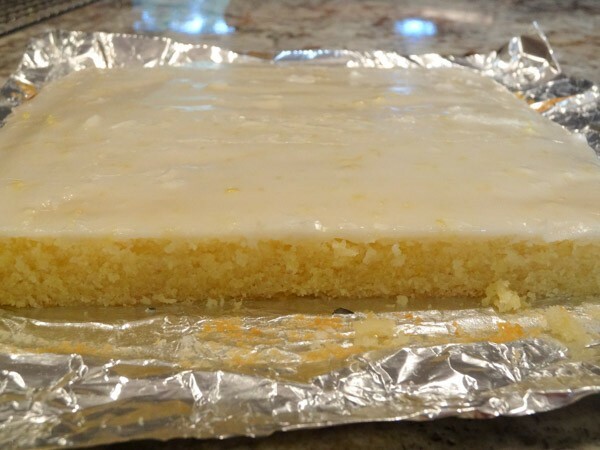 Homemade lemon brownie bars with a zesty lemon glaze. These dense bars are super moist and full of lemon flavor. 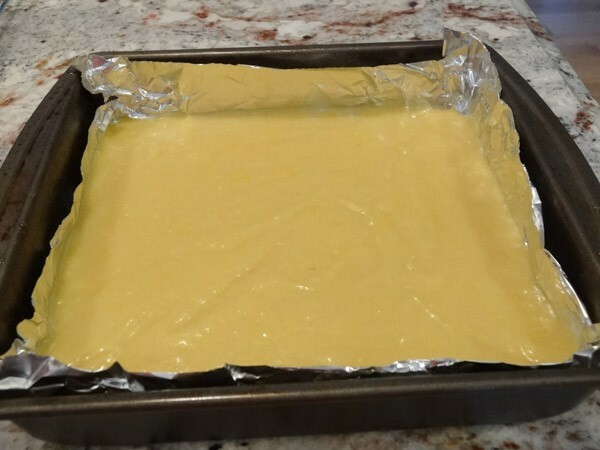 What are lemon brownie bars? They’re actually a little hard to describe. 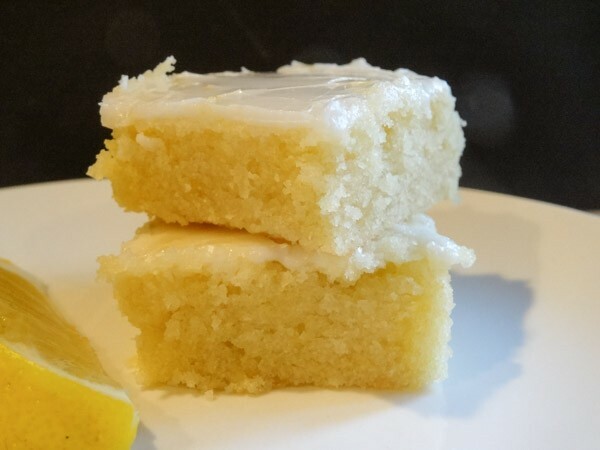 It has all the great flavor of a lemon cake, but it’s denser, yet moist and chewy like a brownie. What are some of the advantages of making these bars? They’re super easy to make. It takes less than 10 minutes to make up the batter and less than 30 minutes to bake this dessert. If you’re looking for a simple, but delicious lemon dessert, I would highly recommend trying these bars. 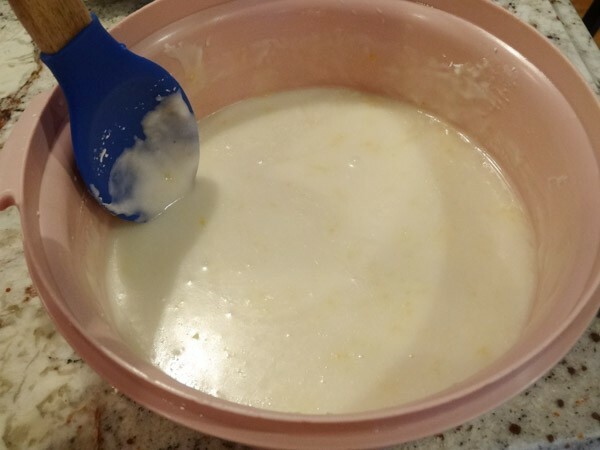 Melt butter in a large, microwave safe bowl. Add in lemon juice, lemon zest, eggs, and vanilla extract. Stir until combined. Note: this recipe has two eggs, plus one egg yolk. I found you need the extra yolk to keep the moistness. In separate bowl, add in flour, sugar, salt, and baking powder. Stir until combined. Bake at 350 degrees F for 25 to 29 minutes or until edges are lightly browned. Toothpick inserted into center should come out with a few moist crumbs. Tip: like brownies, you don’t want to overcook and dry the bars out. Remove pan to wire rack to cool. While waiting for the cake to cool, make up the lemon glaze. 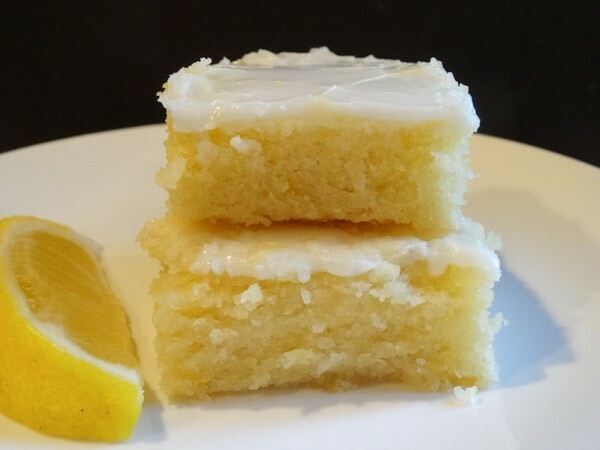 It consists of three simple ingredients: powdered sugar, lemon juice, and lemon zest. If you try to stir the ingredients in a bowl, it will become thick and pasty. I found that you either need to a) heat the ingredients in a saucepan over medium-low heat or b) place in microwave for about a minute to help it turn into a manageable, liquid form. Use spatula to spread glaze evenly over cake. Cut into squares and store in airtight container. 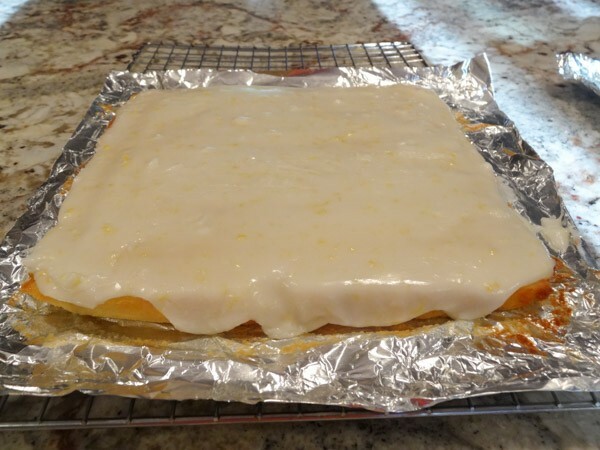 Lemon Brownie Bars topped with a lemon glaze. These light, airy bars are super moist and full of lemon flavor. 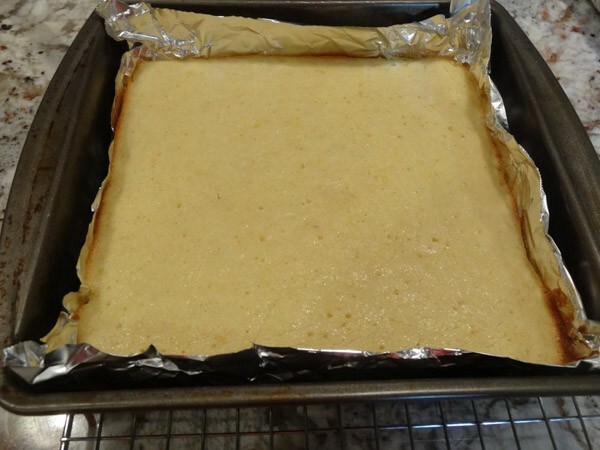 Line 9 x 9 inch baking pan with aluminum foil and lightly grease. Preheat oven to 350 degrees F.
2. In large bowl, melt butter in microwave. 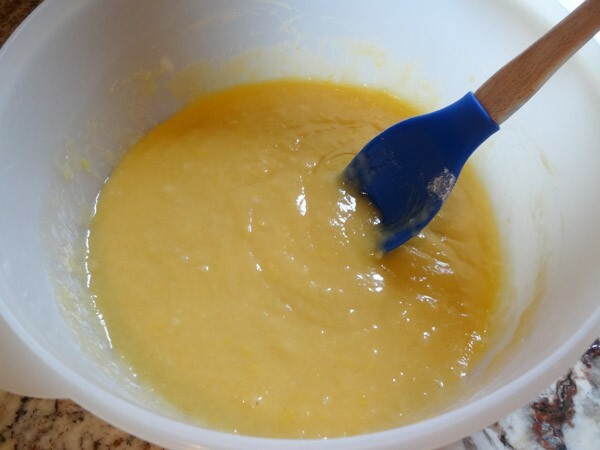 Add in lemon juice, lemon zest, two eggs, plus an additional egg yolk, and lemon or vanilla extract. Stir until combined. 3. 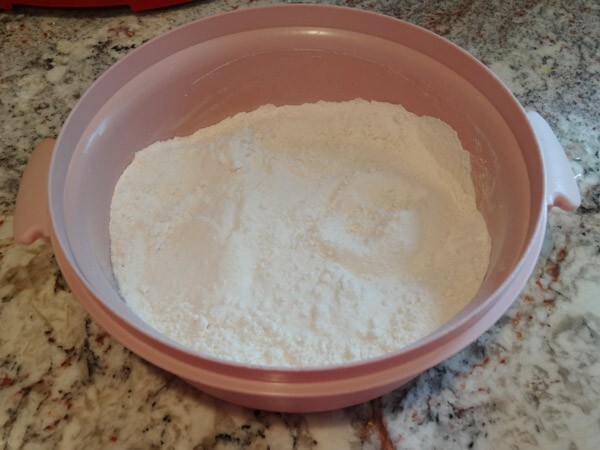 In separate bowl, add in flour, sugar, baking powder, and salt. Stir until combined. 4. Add dry ingredients to wet ingredients and stir until combined. Pour batter into prepared pan. 5. Bake for 25 to 29 minutes or until edges are golden brown and toothpick inserted into center comes out mostly clean. 6. Remove to wire rack to cool. In medium sized saucepan, add in powdered sugar, lemon juice, and lemon zest. 2. Heat over medium-low head until mixture turns into smooth liquid. 3. Use spatula to spread glaze evenly over top of cake.